The wait is over! 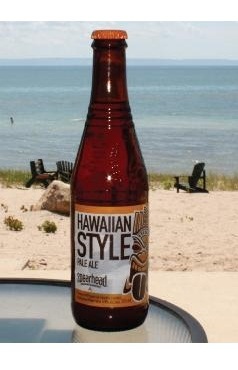 Any day now, Spearhead Hawaiian Style Pale Ale will be hitting shelves and an LCBO near you. The darling brewery of Session in Toronto, two years running, will be bottling it's maiden brew for the Ontario home market. "This summer, whether you're poolside, on the dock or relaxing in your backyard, beat the heat with our hoppy, citrusy Hawaiian Style Pale Ale." Up next for the brewery is their Belgian Stout. After placing second at West 50 Pourhouse and Grille's Beerstock III, it should be available on tap this fall.